The militia noted in the second amendment is a militia of all those able and willing to bear arms to defend their liberty. When the Constitution went before the people for ratification, it was supported by the Federalists, while the Anti-federalists thought it gave too much power to the central government. Both sides agreed that all government, federal and state, presented a potential threat to people’s liberty. The best way for the people to protect their liberty from government intrusion was with an armed, well-regulated militia. 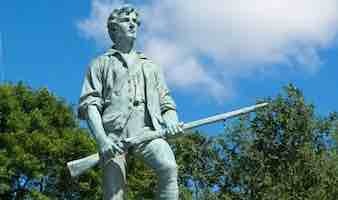 The idea of a state militia controlled, formed, and supplied by the state, was thought dangerous by some. These Select Militias, as they were called, were seen as just another standing army that might allow a state government to forcefully take away people’s liberty. Some found it disturbing that the Constitution called for state militias to be activated by the central government to aid in defending the Union, if necessary. While the Founders thought Select Militias were necessary to protect the Union from invasion, they also saw that they also posed a potential threat to the people’s liberty.